Digital Media: Women’s New Panopticon? Designed by the 18th-century philosopher Jeremy Bentham, The Panopticon is a type of institutional building and system of control. Bentham’s design allowed inmates in a prison system to be observed by a single guard without the inmates being able to tell whether or not they are being watched. Though aware that it would be impossible for a single guard to watch all the cells at once, the fact that inmates do not know when they are being watched prompts them to behave as if they are being watched at all times. Consequently, they are compelled to monitor their behavior at all times. 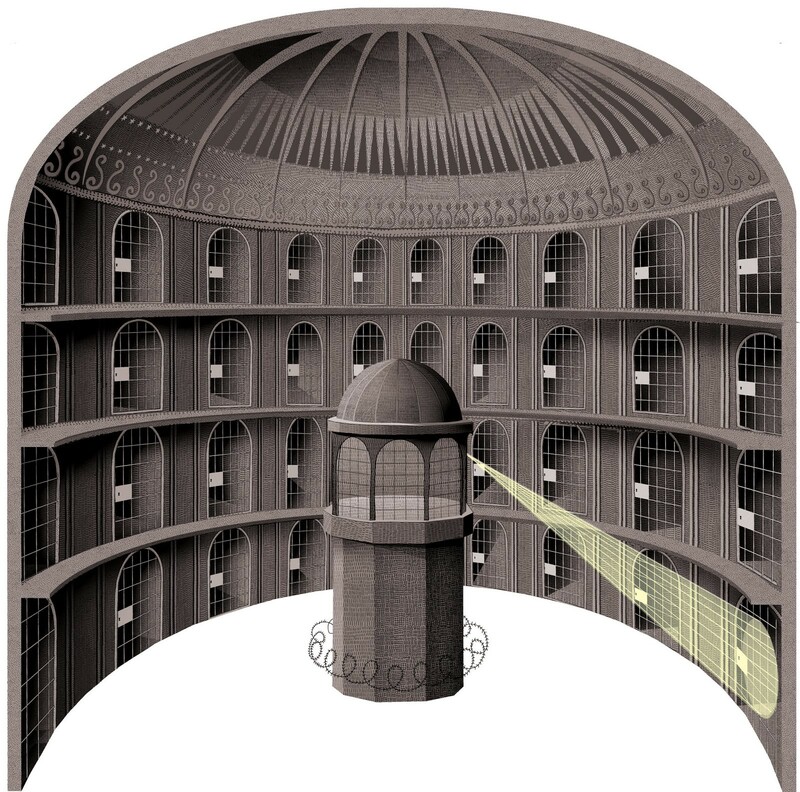 Digital media has placed another guard in the panopticon. Though women have always been aware of the strict beauty standards society has placed on them and regulate themselves accordingly, the introduction of digital media into society has only exacerbated this phenomenon. With images of and ideas about what it means to be a woman circulating at an alarming rate, women are placed under increased pressure to conform to beauty standards. Moreover, women are expected to monitor themselves not only in the physical realm but also the digital. She is expected to fit the ideals of beauty not only in the real world but online as well. Amanda Hess’, ‘I Feel Pretty’ and the Rise of Beauty Standard Denialism explores how beauty standards influenced by social media have impacted women. She argues that “the beauty ideal is so pervasive that it is internalized in many women, who are haunted by idealized visions of their own bodies — fantasies of how they might look after undergoing extreme diets or cosmetic procedures. But because nobody can ever achieve perfection, we instead begin to fetishize the striving for it — spinning on bikes and slathering on lotions.” In other words, beauty standards have risen so much and become so ubiquitous that women are not able to escape their ideal bodies. Constantly bombarded with ideas and images of what their bodies could and should look like, women turn to fitness classes, diets, cosmetics, and plastic surgery to reach the beauty standards fed to them via social media. Thus, women are regulating their bodies as a response to what they have seen on digital media. Similarly, Autumn Whitefield- Madrano, author of Face Value: The Hidden Ways that Beauty Shapes Women’s Lives describes the way in which women are expected to improve, maintain, and monitor themselves as a never-ending project. Shes writes, “social media has the potential to turn online self-presentation into a never-ending project, much in the same way girls and woman have turned their own bodies into what historian Joan Jacobs Brumber calls ‘the body project’- a chronic endeavor of improving or maintaining one’s physical form. The body project is an undertaking that can never be truly finalized. Once your weight is sufficiently controlled, your complexion might erupt; once your complexion is settled, body hair needs tending (Whitefield- Madrano 177).” From this quote, it is evident that for women the act of self-presentation is never done. Once she finds and fixes one problem, another appears. Digital media compounds the problem by not only introducing new beauty standards to live up to but by also introducing new ways to meet them. For instance, apps like Facetune give users ways to fit into beauty ideals that they could not meet in real life. Similarly, devices like the Apple Watch and apps like MyFitness pal, allow users to monitor biometric information in order to fit into health and beauty standards. Thus, the introduction of digital media into society has taken beauty standards to a new level. Not only are there mounting standards to meet, but entirely new ways to meet them. Additionally, digital media gives women another way to watch themselves. They not only monitor how they appear in person but how they appear online to others. Once to work of improving oneself is done physically, it is continued digital. It turns into a never-ending cycle of self-improvement and surveillance. Digital technology and rising beauty standards have changed the ways women improve, maintain and monitor themselves. Apps, plastic surgery procedures, cosmetics, fitness classes, diets, and more now allow women to control how they are perceived both in real life and online. Though this seems like a good thing at first, as it gives control back to women, it ultimately harms women as they are forced to live continually self-regulate to ensure they are living up to societal standards.